Health and happiness are affected by many factors. This concept identifies the most important of these and advises how to use them all to promote balance and integration. 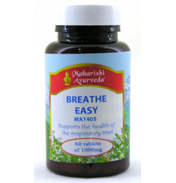 This holistic approach is Maharishi's Vedic approach to health. You will get maximum benefit from your products in the context of this knowledge. The purpose of this approach is to enable everyone to develop the state of perfect health, the state in which ones inner genius is fully enlivened and life is lived to its full potential. This goal is approached without strain by practical, natural and cumulative steps that bring life more and more into harmony with natural law. The key recommendations of maharishi vedic approach to health are development of consciousness through transcendental meditation, rest, diet and digestion. All food is essentially a source of order and intelligence and these preparations harness the intelligence of plants to increase orderly functioning of mind and body. The ingredients used in this range of supplements are harvested at their best, processed with great care and are skilfully combined in time-tested ways. Products are available that are for allergy resistance allergard, as antioxidants amrit kalash ambrosia, for detoxification and general cleansing, triphala with rose (top seller), herbal cleanse, for digestion-herbal digest, aci-balance, for energy- peace of mind, blissful joy, for joint and muscle care - joint soothe, for menopause -menopause support 1 and 2 (Golden transition), for mens health- vital man and prostrate balance, for mind and emotions- youthful mind and herbalised massage oils, for respiratory health - breath easy, for sleep - peace at night and for weight balance - be trim 1 and 2. 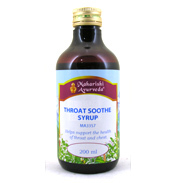 They also have an excellent toothpaste and mouthwash and their teabags are formulated according to traditional recipes from Maharishi Ayurveda the world's original and complete science of natural medicine, to help to promote balance and positive health in mind and body at all times of the year.